The response to M. Night Shyamalan’s Glass has been a little divisive, but this has all still turned out so much better than it could’ve. Shyamalan’s name hasn’t exactly been associated with popular movies for a long time, so the fact that he managed to make a sequel to two of his best films without it turning into an unmitigated disaster is something to be thankful for. Another thing to be thankful for: Glass made some good money this weekend, taking home the top spot at the box office with $40.5 million. That’s not a mind-blowing number, and it’s on-pace with what Split—the film’s predecessor from 2017—made in its opening weekend, but it was enough to leave all of its competition in the dust. Last week’s winner, The Upside, fell to second place with $15 million and Aquaman held on to its surprisingly lucrative fish-crown with $10.1 million (bringing it to just over $300 million since it opened five weeks ago). Spider-Man: Into The Spider-Verse also continued its own deservedly lucrative run, adding $7.5 million to its existing $158 million total, and A Dog’s Way Home continued to warm hearts and scar children with its surprisingly heavy emphasis on death by landing another $7.1 million (though that is a relatively steep drop from last week’s third-place-worthy total). There was also a surprise winner this week in the form of anime movie Dragon Ball Super: Broly, which came in at fourth place and managed to make a stunning average of $7,925 across only 1,236 theaters. That’s is almost as good as what Glass earned per theater, and it’s far better than most of the other films dumped into the box office at this point in January. That means anime is officially cool now, and there’s nothing the popular kids can do about it. We’re all going down to Hot Topic to pick up some wall scrolls! 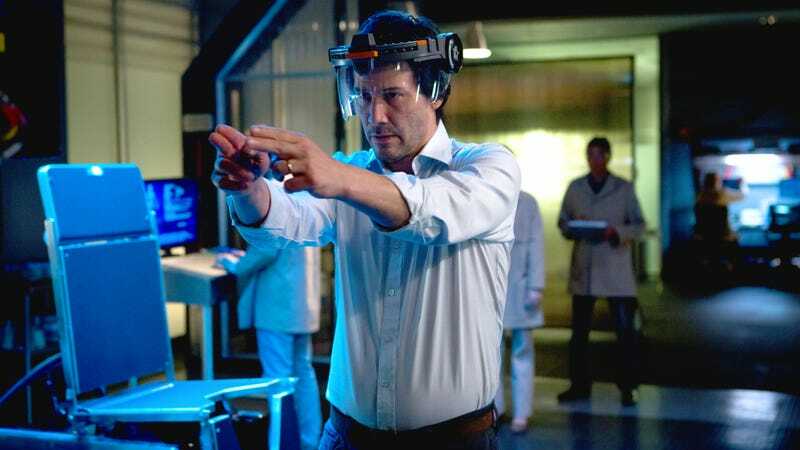 Anyway, speaking of per-theater averages, the power level (Dragon Ball reference) was not nearly as high for Keanu Reeves’ troubled sci-fi thriller Replicas. It only managed to make an average of $219 per theater, which is by far the worst of the week, and it dropped more than 81 percent in terms of its total box-office take. Maybe it would’ve been more successful if it were called Keanu Reeves Super: Replicas instead? It’s something to think about, at least.